The Primer is our column wherein contributors compile a 60 minute playlist of a band near and dear to their heart. Using personal listening anecdotes, notes about specific tracks and a brief overview of each artist, The Primer is both a way for our contributors to trace their musical genealogy and for our readers to gain a new perspective on an artist they may have missed or dismissed. 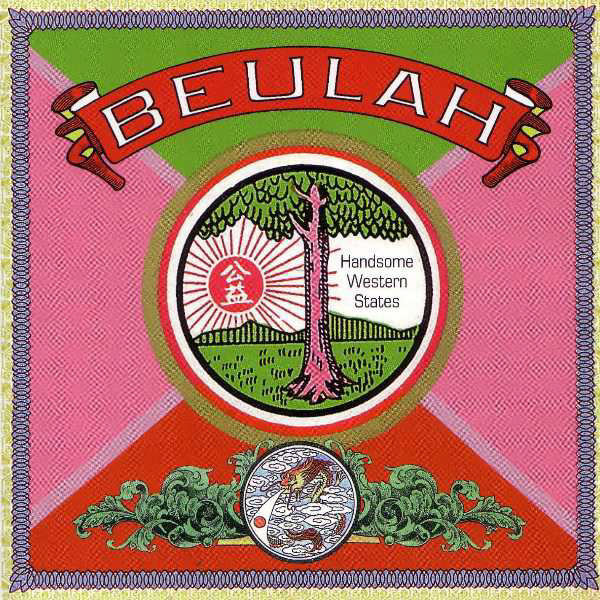 Installment six finds contributor Colin S. Smith plumbing the depths of his admiration and affections for the brilliant and unheralded pop band Beulah. 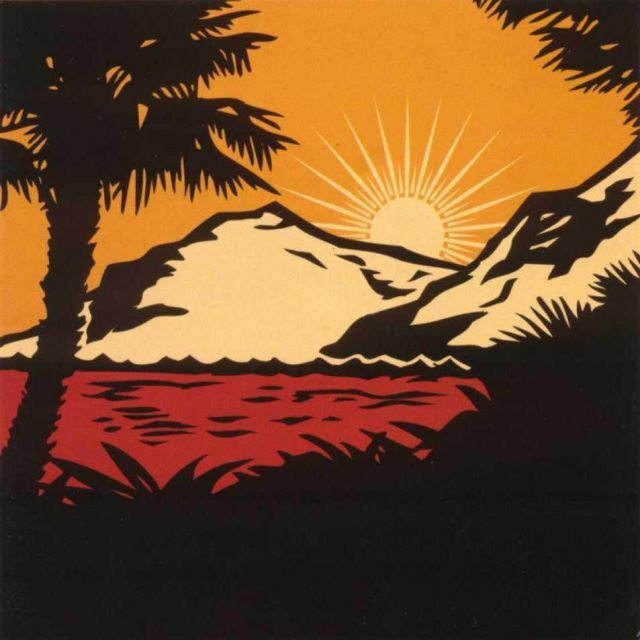 Flannery O’Connor once wrote that a good man is hard to find, and the San Francisco pop band Beulah taught us that a good band is easy to kill. 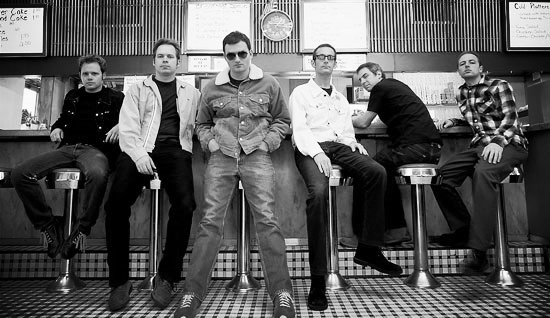 During their seven year span from 1996 to 2003, Beulah released four albums that reached much critical acclaim without much commercial success. As part of the musical collective called The Elephant Six Recording Company, this label has churned about some of the best independent music of the past two decades. Their perfect pop songs will gratify you instantly, and they’ll reward you over time as you dig into them further. Some include the label’s founding legends such as the humble Jeff Magnum of Neutral Milk Hotel to the more recent, glamorized music by Of Montreal. But Beulah remains as Elephant Six’s most underrated and overlooked bands. Their sound would launch the budding tastes of modern and recognizable songwriters. Even a sprouting Michael Cera covered their song “Hovering” as part of the actor-music collaboration in the band The Long Goodbye. I first heard their bright horn-arrangements on a sunny day when I was fifteen. The cool, easy-listening beach song “What Will You Do When Your Suntan Fades” welcomed the coming of summer—and their albums mark a coming of age. They weren’t a band only anchored in the late ‘60s Californian sound, because they offered something new: they walked the tight rope of mid-fidelity production. That is, Beulah wasn’t quite like Brian Wilson arranging an orchestra, nor were they like Guided by Voices recording on an old four track. Instead, Beulah fit somewhere in between. They unabashedly play pop songs without their songs being popular. They sound wistful even when they play upbeat songs. And they sing melancholia without bitterness. Songwriter Miles Kurosky’s thumbprint on each song is twisting clichés into original sentimental confessions. My brother saw Beulah during their last tour in 2004. While he was in college, I nabbed his CDs while I was in driver’s school. It wouldn't be until the end of my adolescence and the curbing of my naivety when I could appreciate the album Yoko. The progression of Beulah’s sound corresponds with an emergence into adulthood. To love Beulah is to not hold to your idealistic, naive adolescent self—even when he or she is slipping away. It’s just too bad when they became grown family-men and after releasing their final LP in 2003, Yoko, that their youthful dream of becoming lush songwriters wasn’t a financially lucrative one. 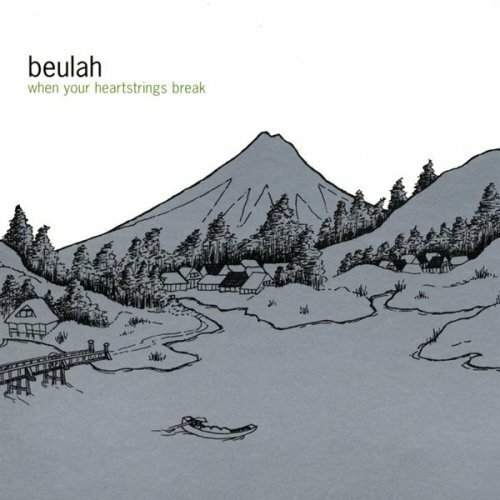 This is Beulah in a song: Upbeat, sincere, nostalgic of the ‘60s, and a bit sappy. In the middle of Miles Kurosky’s sweet-nothings, he sings with his tongue-in-cheek, “And if we sell out, oh well, our only fan will be changing costumes.” This song probably will find itself on your mix CDs, if it hasn’t already. Like the title, song starts off slow then takes off in a light soar. The singer clips his lover’s figurative wings, and the timbre of the acoustic guitars, string arrangements, and vocals mirrors the fragility. 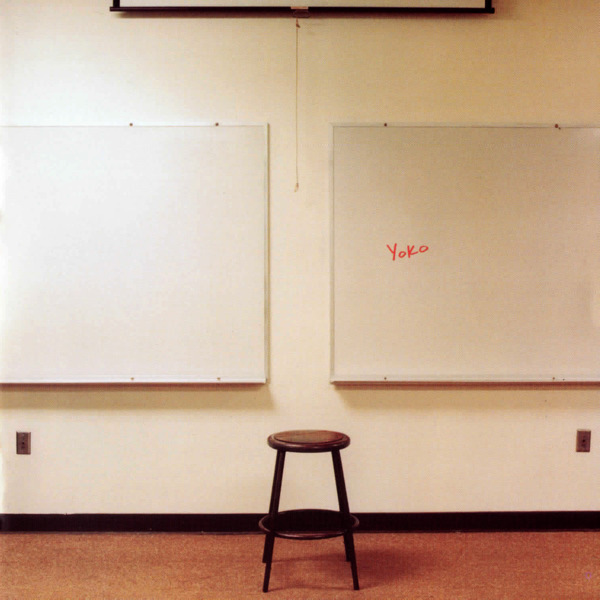 One of the many outstanding gems of their last album, Yoko, and it only becomes better after revisiting. A bluesy piano, a jazzy drum beat, a wall of sound buzzed from a guitar kicks off this poignant declaration. After a layer of harmonies, band member Bill Swan plays the trumpet as if he were at a eulogy. Miles Kurosky sings, “and though we are falling stars, we’ll be just fine.” Even when he sings about loss, Kurosky sounds sweet. This San Francisco band never really left the 1960s. In this rhythmic rock tune, Kurosky sings in fuzzy vocals about how the different opinions between two people ultimately divide them. You may find yourself clapping along to this song. After a two minute build up of a marching drum beat, synthesizers, and keyboards, a fuzzy guitar and an infectious trumpet blares through this song. Like most Beulah songs, the payoff is found by listening to the layers. Multiple keyboards add depth, a string arrangement keeps the song from sounding too much like Brian Eno, and the guitar crunches while playing on the musical motifs. Like all other songs when Kurosky sings about serious matters, he sounds sweet. The first words he sings, “Goodness knows it’s been a wonderful run,” also wraps up the band’s musical career well, too. Like “Emma Blowgun’s Last Stand,” this song builds up after a period of instrumental ambience. A marching drum kicks in then fades. A single note from a keyboard drones the same note and the song revolves around an incredibly catchy chorus. Sarcastic and sweet, this Brazilian influenced song uses the samba beat and instrumentation to satirize the hollowness of infatuation—it’s as ephemeral as an August suntan. The song also shows that they are able to blend in myriad influences and still make it sound distinguishably like Beulah. This single that came out between the first and second albums begin with a fuzzy guitar, but, by adding a light tremolo to another guitar, the song branches Beulah’s initial lo-fi sound with a more embellished one that would later define them. This rarity shows how and when they whittled away the rougher edges in favor of a sleeker sound. The percussions and sleigh bells at the beginning sound like Pet Sounds, and the comping accordion during the verse add to the Beach Boys sound. The song rides by just like, as Kurosky sings, floats lost in a parade, when an arpeggiated guitar lifts the song and an arrangement of strings and flutes carries it away. There’s as much color in the musical timbre of the instruments and vocals as you could see in a sunset at a Californian beach. They sing warmly and a classical guitar it strums away until the harmonies fade into the horizon. As the last track to their lesser known debut album, this song is a underrated gem. It’s fast, upbeat, fun, and Kurosky shows off some of his lyrical chops with lines like, “she dots her I's with hearts and sunkisses.” The muted trumpet calls the album to a closure as they touch the drums with flanger, but the song ends the album not with a bang, but with the horn whimpering. It’s an affectionate pop song. One of the instant and energetic songs off the record, but without the depth of the other tunes. Still, it’s fun. This is Beulah sounding like Pavement. The song follows the quiet-loud-quiet format that found itself common after the likes of Pixies and Nirvana popularized it. This song is energetic and loud—unlike most of their catalog. When you listen to this song, plug your computer into a high-fidelity sound system. Hear the strings on each side of the speakers, hear the wooden plucking, then listen to the harmonies sound like the wild seas going calm. Kurosky sings the very last words to the very last Beulah song, “I don't believe in anything except you my friends.” After a fanfare of horns die, the crackling of a needle on a vinyl record plays a faint acoustic guitar, and whistling ends this epic.